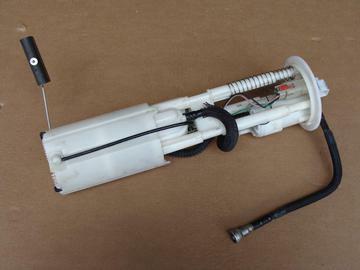 Used fuel pump and sender assembly for 05-08 Corvettes. This is a factory fuel pump. It mounts in the driver side fuel tank. It has been tested and is in good working condition. Please note that all used fuel pumps will have small hairline cracks in the thin white plastic at the fuel outlet. These will be similar in appearance to the cracks in the second photo. This is not a problem, and will not cause a fuel leak. The white plastic does not seal fuel, the black hose underneath is what seals. If these hairline cracks are an issue for you, you will need to order a new pump, not a used one.